The IRS is notorious for taking aggressive collection action including filing tax liens, issuing wage garnishments, seizing assets and levying bank accounts in order to collect outstanding IRS debt. In some cases the IRS is also looking to make an example of what happens to taxpayers who do not cooperate in paying their taxes or even worse not filing tax returns. 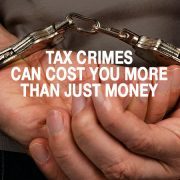 Owner Of Colorado Business Sentenced To Prison For Tax Crimes. In a press release issued by the U.S. Attorney’s Office in Colorado, Douglas A. Wieland, a Colorado paving company owner, was sentenced to prison for failure to pay income taxes. Mr. Wieland was sentenced to 12 months and one day in prison by U.S. District Judge R. Brooke Jackson in Denver, Colorado. In September 2018, Mr. Wieland pleaded guilty to two counts of failure to pay income taxes, in violation of 26 U.S.C. § 7203. According to court documents, Mr. Wieland owned and operated Performance Paving, a company that performed asphalt and concrete work. Mr. Wieland admitted that, from April 1999 through December 2017, he did not make any payments toward his income taxes. He also admitted that he took steps to conceal his income and assets to prevent the IRS from seizing his assets. He deposited over $1.8 million into a “warehouse bank” account and then used that account to pay for his personal expenses. 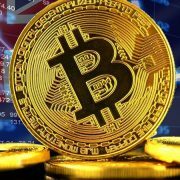 The purpose of a “warehouse bank” is to maintain the financial privacy of all “account holders” by commingling the funds of numerous account holders in a single bank account, usually at a domestic bank in the United States. Mr. Wieland also cashed checks his customers gave him for his services, and admitted at a court proceeding held in Adams County, Colorado, that he “cashed a check somewhere outside the box so the IRS doesn’t steal it from my bank”. In addition to the term of imprisonment imposed, Mr. Wieland was ordered to pay restitution in the amount of $166,658. Mr. Wieland should also expect that after serving his sentence he will be dealing with the Civil Division of the IRS who will be interested in conducting a full scale civil audit. Penalties For Failure To File A Tax Return or Filing A False Income Tax Return or Under-reporting Income. Willful Failure To File – The law defines that any person who willfully fails to file a tax return as required by the Internal Revenue Code is, in addition to other penalties provided by law, guilty of a felony and, upon conviction thereof, can be fined not more than $25,000 ($100,000 in the case of a corporation), or imprisoned not more than five years, or both, together with the costs of prosecution (Code Sec. 7203). 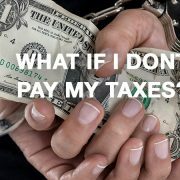 While there is no law making it illegal to transact business with cash, the IRS has an interest in requiring parties to report cash transactions to deter those who evade taxes, profit from the drug trade and engage in terrorist financing and other criminal activities. The government can often trace money from these illegal activities through the payments reported on this and other cash reporting forms. This is particularly true as more and more states are allowing the sale of cannabis at the medical and/or recreational level. Bank Secrecy Act – Reporting Of Cash Payments. Since 1970, the Bank Secrecy Act (“BSA”) requires financial institutions in the United States to assist U.S. government agencies to detect and prevent money laundering. 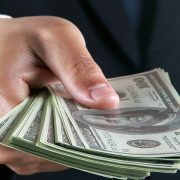 Specifically, the BSA requires financial institutions to keep records of cash purchases of negotiable instruments, and file reports of cash purchases of these negotiable instruments of more than $10,000 (daily aggregate amount), and to report suspicious activity that might signify money laundering, tax evasion, or other criminal activities. The BSA requires any business receiving one or more related cash payments totaling more than $10,000 to file IRS Form 8300, Report of Cash Payments Over $10,000 Received in a Trade or Business. Electronic Filing Of Form 8300, Report of Cash Payments Over $10,000. Although businesses have the option of filing Form 8300, Report of Cash Payments Over $10,000, on paper, there is the option to e-filing this form especially since the deadline to file the form is 15 days after a reportable cash transaction occurs.Businesses that file Form 8300 electronically get free, automatic acknowledgment of receipt when they file and since the reporting involves no IRS personnel interaction, it could arguably lower scrutiny by the IRS. 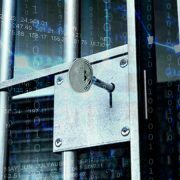 To file Form 8300 electronically, a business must first set up an account with the Financial Crimes Enforcement Network’s BSA E-Filing System. For more information about the reporting requirement, you can check out the fact sheet put out by IRS atFS-2019-1 which among other things includes reporting scenarios for specific businesses, such as automobile dealerships, taxi companies, landlords, colleges and universities, homebuilders and bail-bonding agents. Financial Crimes Enforcement Network (“FinCEN”). FinCEN is a bureau of the U.S. Department of the Treasury. The Director of FinCEN is appointed by the Secretary of the Treasury and reports to the Treasury Under-Secretary for Terrorism and Financial Intelligence. 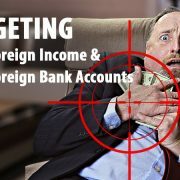 FinCEN’s mission is to safeguard the financial system from illicit use and combat money laundering and promote national security through the collection, analysis, and dissemination of financial intelligence and strategic use of financial authorities. FinCEN exercises regulatory functions primarily under the Currency and Financial Transactions Reporting Act of 1970, as amended by Title III of the USA PATRIOT Act of 2001. Under this authority the Secretary of the Treasury is to issue regulations requiring banks and other financial institutions to take a number of precautions against financial crime, including the establishment of AML programs and the filing of reports that have been determined to have a high degree of usefulness in criminal, tax, and regulatory investigations and proceedings, and certain intelligence and counter-terrorism matters. This authority has been delegated to FinCEN. The basic concept underlying FinCEN’s core activities is “follow the money.” As FinCEN believes that the primary motive of criminals is financial gain, and they leave financial trails as they try to launder the proceeds of crimes or attempt to spend their ill-gotten profits. 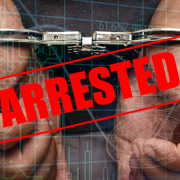 FinCEN shares the information it receives and analyzes with other law enforcement agencies to investigate and hold accountable a broad range of criminals, including perpetrators of fraud, tax evaders, and narcotics traffickers. 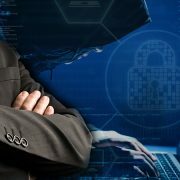 More recently, the techniques used to follow money trails also have been applied to investigating and disrupting terrorist groups, which often depend on financial and other support networks. The IRS scrutinizes in any cash-based business the amount of gross receipts to report and it is harder to prove to the IRS expenses paid in cash. However, this should not undermine the importance that the proper facilities and procedures be set up to maintain an adequate system of books and records which even in an environment of running a business without a traditional bank is possible. If your business activities involve transactions in cash you need to protect yourself and your investment by engaging the cannabis tax attorneys at the Law Offices Of Jeffrey B. Kahn, P.C. located in Orange County (Irvine), San Francisco Bay Area (including San Jose and Walnut Creek) and other California locations. We can come up with tax solutions and strategies and protect you and your business and to maximize your net profits. 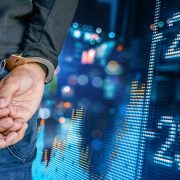 Connecticut Crypto Currency Trader Convicted For Wire Fraud And Sentenced To 21 Months In Prison And Pay Restitution Of Over $9 Million.